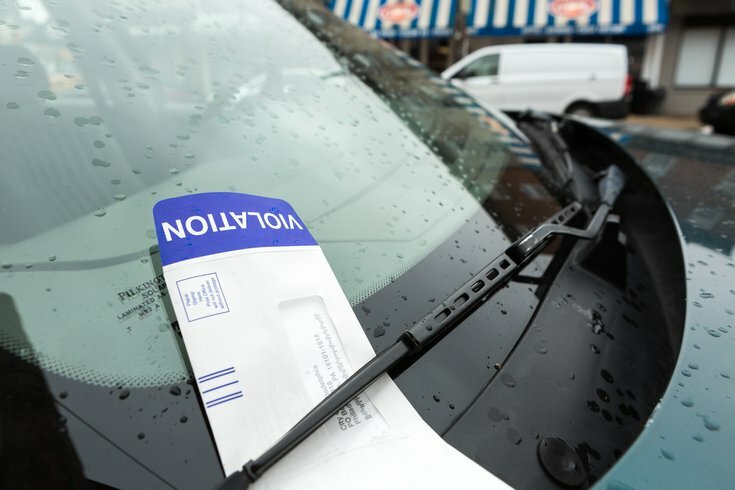 A parking ticket on a vehicle in Philadelphia. A man in Schuylkill County has tidied a long-simmering debt after carrying around a parking ticket for the last 44 years. It was for $2. The man, known simply as Dave, paid an extra three bucks for good measure. The Minersville Police Department received the payment with a handwritten note from the ticket holder. "Dear PD," the letter begins. "I've been carrying this ticket around for 40+ years always intending to pay. Forgive me if I don't give you my info. With respect, Dave." Man apologizes and pays for a parking ticket after holding onto it for 44 years! How long have you waited to pay a parking ticket? Police Chief Michael Combs told CBS3 that in the 44-year lapse between the ticket being issued in 1974 and paid in 2018, Combs made an extra $3. If Dave is trying to account for interest or inflation, though, he's a bit off – one calculator says $2 in 1974 dollars would be $10.80 in 2018 dollars. Way to go, Reagan. Dave's return address was written as "Feeling Guilty, Wayward Road, Anytown, California." Combs said he wants to meet the man to thank him for the payment. A more impressive reason to meet Dave: He hasn't lost his wallet in at least 44 years.